Indianapolis and all surrounding areas! 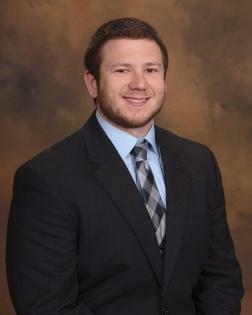 Taylor Tijerina is a 2013 graduate of Purdue University, and very proud to call Indiana his home. Taylor grew up on the southwest side of Indianapolis, and has grown to be very familiar with the Indianapolis market. When buying or selling a home, you need someone who not only knows market trends, but who is an expert in the area, and those aspects are only a few that Taylor brings to the table. Taylor is an active member of the National Association of REALTORS, the Indianapolis Board of REALTORS, and the Indiana Association of REALTORS. He makes it a priority to not only assist and guide clients through the home buying and selling process, but to assist others in the community as well. Taylor actively takes part in numerous amounts of volunteer opportunities from the American Cancer Society's Relay for Life, to the Susan G. Komen Race for the Cure walk. As a former school teacher, Taylor knows what it takes to be a role model to the younger generation, which is why he also participates in coaching little league baseball and football. When working with clients, Taylor makes customer service his highest priority. His goal is to provide personal attention, market expertise, and counseling on all aspects of your transaction and make the process effortless and uncomplicated to you, his valued client. Taylor handles all real estate services in buying and selling homes, but specializes in luxury properties including: view, lakeside, and second homes.